Most of us aren't fooled anymore, realizing that the criminal cabal in Washington drags out their boogeyman with another fake "message" whenever they feel need to instill fear in the citizenry. The recent reports of a new bin Laden message are almost comical at this point, were it not for the overall seriousness of the matter. Six years later, the the PNAC infested US government is still trying to manipulate the masses through fear--and further, to counteract the growing awareness that 9/11 was a day of carefully planned false-flag terrorism they themselves orchestrated. Subject: [911 Visibility Project Action] Important: Report on Emergency Meeting Last Night at TUMC-- Major Opportunity! Last night I drove back with my houseguests all the way from a sublimely beautiful campground near Mt. Rainier to attend the Emergency Meeting called by Rev. Rich Lang at Trinity United Methodist Church, and it was well worth it. Rev. Lang gave a strong address condemning the tyranny and treachery of the American Empire, urging creative direct action to name and thereby destroy evil done in secrecy, with the need for all of us to act in community as the other superpower. 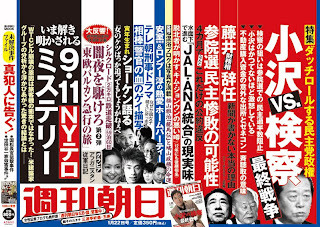 He strongly suggested the use of creative culture jamming and direct action, including shutting down parts of the city, on this upcoming September 11! He garnered a standing ovation for his worthy words, which will be broadcast on SCAN and the internet soon. This address brilliantly linked all of the other issues to 9/11 Truth, tending to legitimate it by activists of many other types participating on this anniversary of 9/11! We then broke up into small planning groups, which will be continued in a series of meetings each Monday until September 10. There also seemed to be an understanding in this group that socializing, networking and food are the building blocks of community; about twenty of us went out for drinks afterwards at Asteroid, a fine Northern Italian restaurant in Fremont owned and operated by 9/11 Truth and media activists. Although there was, in my opinion and that of a fair number of others, too much airtime given to the at this point dead-in-the-water impeachment issue, there was some airtime given to more radical viewpoints as well. Kim Kerrigan, Michael Tivana, Richard Yount and myself were representing us there, but this is a MAJOR OPPORTUNITY for Truthers to directly steer the tenor and content of direct action on and around 9/11, whether by submission of ideas to others attending, or by attending yourselves! I am planning to attend all of these meetings and will keep the Seattle 9/11 Truth networks apprized of developments as they occur. I brought up this topic at Kevin Barrett's lecture at Bradley Univ., on Feb 6th, 2007. I asked him why the Scholars for 9/11 Truth groups haven't filed an error correction report with the NIST engineering reports. Apparently, within a month, three separate people have requested an error correction. A single attorney represents all three error requests: Attorney Jerry Leaphart. It is curious as to why these error corrections seek to stop the release of the NIST WTC 7 report due this year. I believe it is a good thing to get to the bottom of these poor engineering reports through an honest justice system. But isn't it smarter to have the support of ALL of the best academic and professional 9/11 Truth advocates for these error corrections? ?